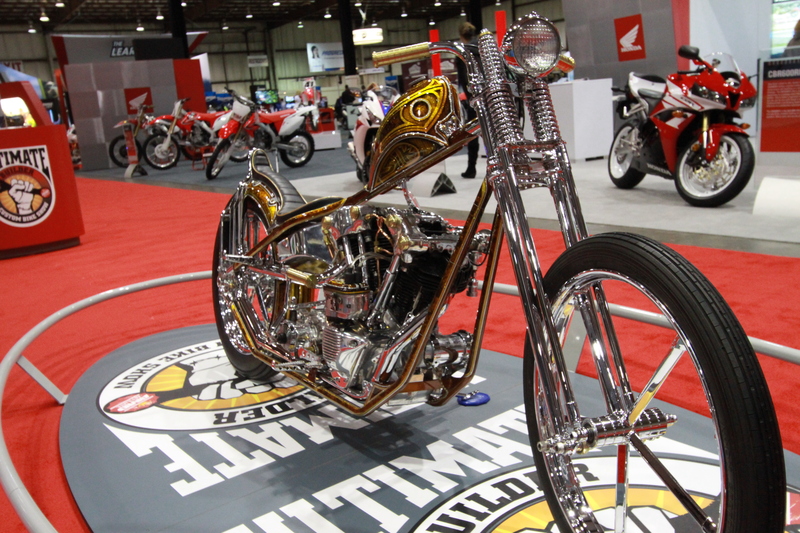 Dalton Walker took first place in the FreeStyle class at the San Mateo, CA round of the Ultimate Builder Custom Bike Show with 2011 Split Image Kustoms (SIK). The hand built custom bike took 9 months and features a 1946 Shovel/Knuckle mil, Burkhardt Magneto, one-off frame, custom forks, wheels, sheet metal, seat, exhaust, sissy bar, cloth wiring, internal throttle and aluminum oil tank. Roquechop Design’s Minautore was built in Brownsburg-Chatham, Quebec Canada by Philip Roquebrune.